Australia, prepare to be Frozen! Big news for the youngest amongst us (and perhaps the young at heart! ), Disney Theatrical has announced that the new Broadway musical Frozen will have its premiere Australian season in Sydney in July 2020. Based on the 2013 film of the same name, Frozen features music and lyrics by the creators of the film score, Kristen Anderson-Lopez and Robert Lopez, and a book by Jennifer Lee, the film’s screenwriter and director (with Chris Buck). Choreography will be by Rob Ashford, who won a Tony Award for Thoroughly Modern Millie. Pictured top: Patti Murin (Anna) and John Riddle (Hans) in Frozen on Broadway. Photo: Deen van Meer. 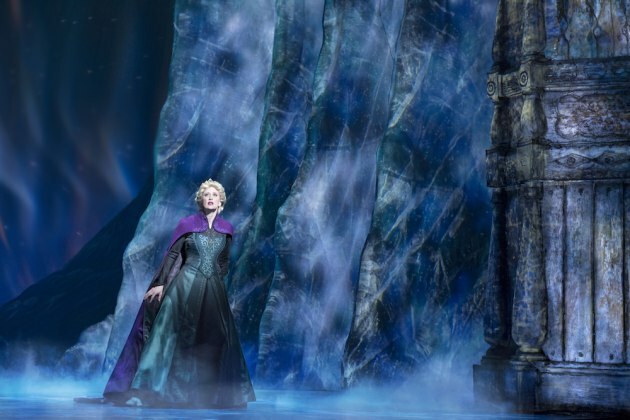 Caissie Levy as Elsa in 'Frozen' on Broadway. Photo: Deen van Meer. Jelani Alladin (Kristoff) with Patti Murin (Anna) and the Company of 'Frozen' on Broadway. Photo: Deen van Meer.